At the beginning of September we said “¡Adiós! 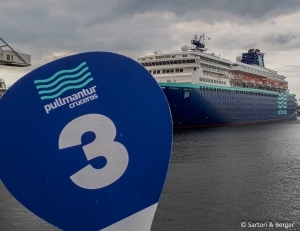 Pullmantur Zenith” for the last time for now. During the last three years Sartori & Berger provided the 80,000, mostly Spanish speaking cruise passengers with an all-inclusive package. 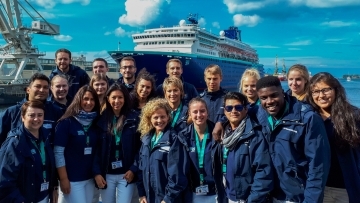 While the port agents were responsible for the complete clearance of the Pullmantur Monarch and Zenith, the stevedoring department was in charge for luggage handling and provisioning. The arrivals and departures with in total 456 flights via airport Rostock-Laage-Güstrow as well as trips to the Rostock area were organized by the Shore Ex department. We look forward to 2019, when we will say “¡Hola y buenos días!” for the fourth season.